Know someone with a sense of adventure, curiosity, natural scepticism and a good sense of humour? If so, a subscription to Fortean Times magazine could be the perfect gift. 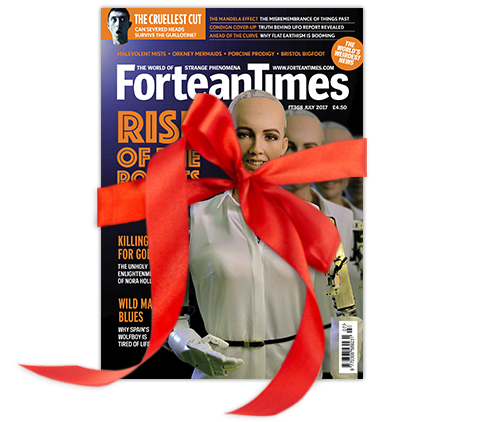 Buy a gift subscription today and your chosen recipient will receive 12 months of Fortean Times direct to their door. Pay just £48 for 12 issues and save 14% on the shop price today!